. Published on July 24, 2018 . Summer in Chicago is truly something special. The entire city collectively agrees to pack as much sun, festivals, delicious food, and general awesomeness into the short window of time before the grey of winter sets in. Ok, so I’m being slightly dramatic. One of the reasons I love that Chicago is because it goes through all four seasons (usually), so fall will be the time to panic. This summer has been…ummmmm….interesting. It’s had more high highs and low lows than I could have ever predicted. Currently I’m feeling grateful for even the smallest of low-drama things, like sun-drenched afternoon naps. I still find myself staring out at wonder, admiring the beauty of this city. I feel lucky to live in a place that’s constantly got a new adventure for me to experience. Over the past two weeks Chicago has given me some life-changing experiences. Chicago not only has epic summer festivals and a bazillion sporting events—it also hosts some of the most amazing concerts. 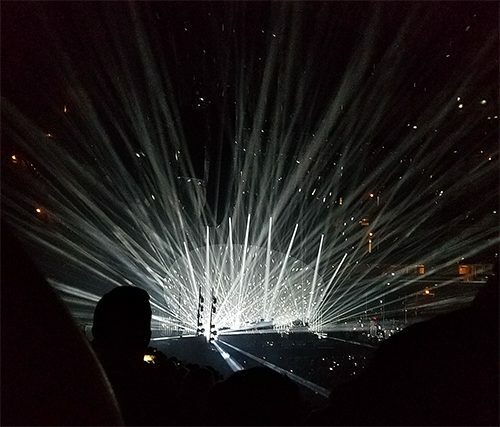 I was fortunate to mark an item off my non-existent bucket list when I went to see one of my favorite bands ever, Radiohead at The United Center. Of course Radiohead will make many stops across the country this summer, but it doesn’t get more convenient than a 30-minute bus ride. The show was stunningly beautiful and, not to be too cliché, but life-changing. As artists, Radiohead’s mastery of their medium and uniting effect it has on people is insanely inspiring. Their music resonates with an authenticity that I constantly search for in my visual art. When I wasn’t dancing and singing along with 23,000 fellow fans, I couldn’t help but think about careers as musicians and admired such sustained creativity over so many years. I’m a total sucker for bizarre adventures. Somehow the photography of Christina Lonsdale found its way to my Instagram feed ages ago and I was instantly hooked. 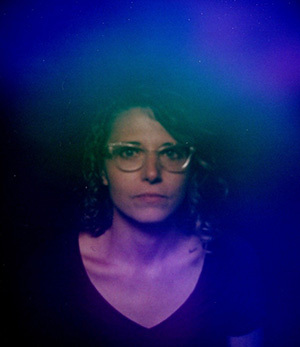 Lonsdale’s project Radiant Human allows her to travel around the country with a vintage polaroid camera, taking phantasmagorical photographs of people. It’s not exactly aura photography but it is a way of visualizing energy. And it was fascinating. I walked into the dome tent in the penthouse suite of Freehand Chicago with few expectations. My photograph above was interpreted by Lonsdale as conveying that I’m in the midst of a “mental storm” about an idea and in need of more self care. In other words, I’m in thesis year. Spot on. 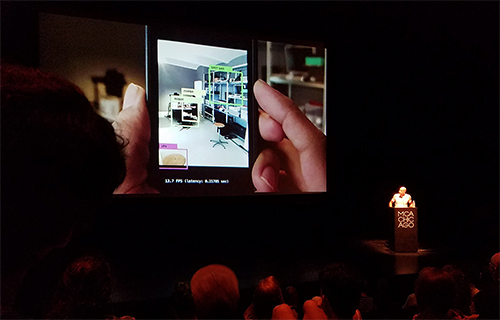 Last but not least, I saw Trevor Paglen speak about his work at the MCA. I’ve been studying Paglen’s work intensely over that past few months while formulating my thesis idea. It was a packed house and I was impressed not only by his humor but the way he articulated the complex technical systems he explores in a clear and concise manner. Listening to him explain the motivation behind his work and detail his process was invaluable. The scale of the projects that Paglen commits to and then executes seamlessly is stunning. There is never a shortage of amazing artist talks around the city. Each time I go to an artist talk I’m reminded of the path I’m on and I’m grateful for even the tiniest gem of wisdom from people further along on the path.